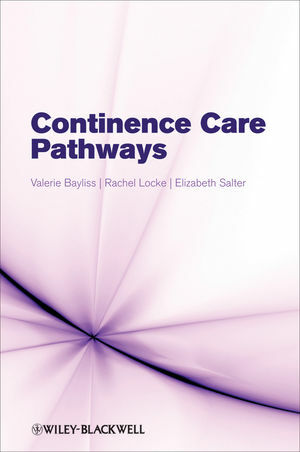 Valerie Bayliss and Rachel Locke are the authors of Continence Care Pathways, published by Wiley. Chapter 1: An Overview of Continence Care and the Case for Care Pathways. Chapter 2: The Impact of Quality and the Need for Evidence. Outcome of evidence base and variance tracking. A Case Study of the adoption of care pathways. Chapter 3: Process of Development of Care Pathways. Process mapping and service redesign. Local adaption of template pathways. Chapter 4: The Generic Pathway. Chapter 5: Symptom related Specific Pathways. Chapter 6: Bowel Care Pathway. Chapter 7: Involving Patients and other Experts. How can user involvement be undertaken locally? Appendix 1 Information sheet for patients and document. Appendix 2 Information for staff.